Vagad`s Khadi Sesame massage Oil is especially useful for pacifying Vata. It is very nourishing, and prevents the skin from getting excessively dry. 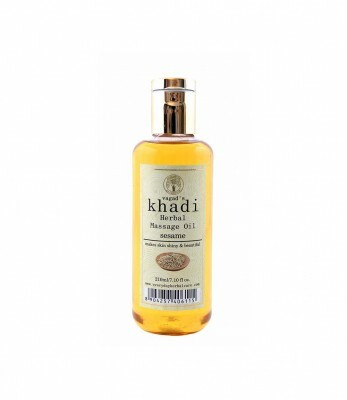 Vagad`s Khadi Sesame massage Oil removes impurities of all over the body.it relieve body fatigue and tension. Take 5-10 ml of hair oil or (Depending on your hair lemgth) and massage gently for 10 minutes.